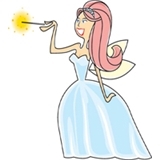 Tooth Fairy Family Dental LLC (Plainsboro) - Book Appointment Online! The feeling of comfort starts the minute patients walk into the door of the white house on Plainsboro Road. The waiting room is painted with bright, cheerful colors, and the furniture is soft and beckoning. The homey feeling is designed to ease the dread that some patients have about visiting the dentist and make them feel welcome. The comfort factor also was built into the name of the practice, which is intended to bring back the happiest childhood memories about dental care. Tooth Fairy leads a team of professionals, who provide the latest in technology and knowhow, with services that include everything from implants, root canals, orthodontics, and periodontics, to Invisalign, whitening, veneers, and oral cancer screening. The services come with a personalized approach that treats patients of all ages like family. Researchers have found a relationship between bacteria in the mouth to stroke, heart disease, and diabetes. Dentists are also often the first to see signs of sleep apnea and recommend follow-up with other specialists. The practice offers the latest technology, including digital x-ray, intraoral camera, rotary endodontic, electric hand-piece, and nitrous oxide. The full range of services may be found online at our web site. Courteous staff, thorough cleaning. Creeped out by all the ads for products scattered throughout the office and the pushing for non covered treatment but that's America for you, I guess.